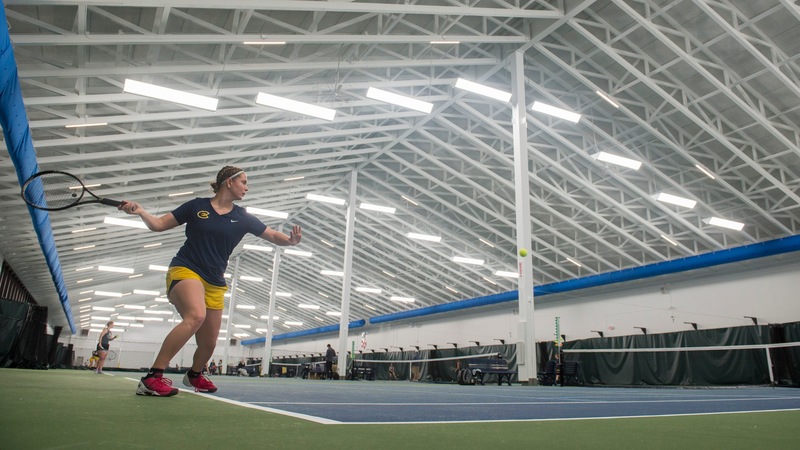 MADISON, Wis. (blugolds.com) - University of Wisconsin-Eau Claire’s Molly Stewart (Sr. - Amery, WI) has been selected the recipient of the 2018 Wisconsin Intercollegiate Athletic Conference (WIAC) Judy Kruckman Women’s Tennis Scholar-Athlete Award. MADISON, Wis. (Blugolds.com) – The UW-Eau Claire women's tennis team scored 16 points, earning a third-place finish at the WIAC Championship (Presented by Culver's), held at the Nielsen Tennis Stadium this weekend. MADISON,WIS. (Blugolds.com)-UW-Eau Claire women's tennis athletes; Hannah Zevenbergen (Baldwin, Wis./Baldwin-Woodville), Natalie Wijesinghe (Apple Valley, Minn.) and Emily Cooper (White Bear, Minn./Mahtomedi) were all recognized as the Wisconsin Intercollegiate Athletic Conference (WIAC) Athletes of the Week, as announced by WIAC Assistant Commissioner for Media Relations Matt Stanek earlier today.